What are God's purposes in the face of seemingly senseless sufferings? 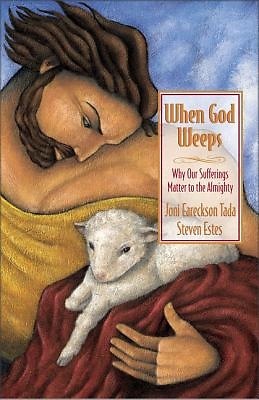 When God Weeps reveals a God big enough to understand suffering, wise enough to allow it, and powerful enough to use it for a greater good than ever imagined. Joni Eareckson Tada explains her outlook and experiences with suffering--from the tragic accident over 30 years ago that left her paralyzed--to her brilliant ministry that touches people worldwide. The video follows Joni through her own everyday interactions with others, including her extraordinary "Family Retreats." The documentary-style approach creates a powerful stimulus for group discussion and individual reflection. Explore the real-life stories of Christians who have reconciled suffering with their own faith the study the Bible's view of suffering. Participants will also gain deeper empathy for the needs of disabled persons worldwide.